Valkyrie Cain - once known to the world as 12-year-old Stephanie Edgley has learned a great deal since beginning her apprenticeship to Skulduggery Pleasant, the well-dressed living-dead wizard detective. But she hasn't learned nearly enough to defeat the horrors massing against her and her friends: an old foe of Skulduggery's, Baron Vengeous, is bent on being back to life the horrible Grotesquery - an unlikeable monster assembled from the most fearsome beasts of legend. It's up to the ingenious, fearless, and quick witted Valkyrie and Skulduggery to stop the Grotesquery from coming fully to life, because once the thing is alive, it will call to its masters, the evil Faceless Ones, who's return will mean the end of the world. 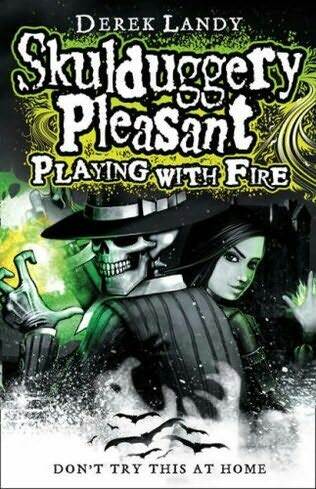 And once again my favorite detective in teen fiction, the wacky, witty, clever, magical, snappy dresser and smooth operator, Skulduggery Pleasant is on the case. I LOVED the first in this series, Scepter of the Ancients, and worried that I would be disappointed with Playing with Fire. It might even be better than the first! Skulduggery and Stephanie (I mean Valkyrie) are fabulous once again. The action is fast-paced, the plot creative, and the characters... I love them! Skulduggery is such a cool dude and Stephanie/Valkyrie is a strong capable heroine who is his perfect partner in saving the world. Skulduggery becomes her Yoda or Morpheus, teaching her how to become a superhero - but he's much more fun. Everyone, including the villains, creatures and secondary characters, are multi-layered and interesting. Landy's imagination throws the unexpected at you at lightning speed. His vivid description puts you right in the action. 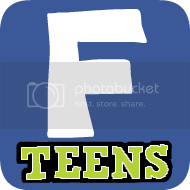 The dialogue is laugh out loud funny and sharp as a saber. And gotta love names like, Grotesquery. You can't miss with this series. 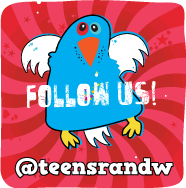 It has widespread appeal - younger or older, boys or girls. You can read my review of the first book, Scepter of the Ancients, here. 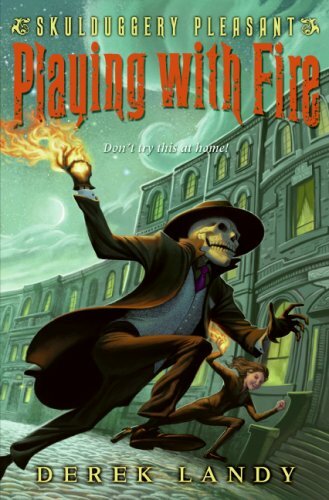 The Skulduggery Pleasant series continues it ride on the Must Read Train! The Cover: W ell don't we have a quandary here. I found three different covers. My top choice is the bottom one here. I think Skulduggery looks especially awesome! Which do you like? First Lines: Valkyrie Cain hit the parapet and tumbled, unable to stop herself, and with a panicked gasp, she disappeared off the edge. Very good! I love love the first lines in all of these books. They grab you from the start! Sounds like a really cool series! I haven't heard of it before! The Faceless Ones is also as brilliant. And I'm so creeped out by her mirror image that does all her school stuff for her. Great Review, Gregory! I have seen this series floating around and it looks sort of interesting..LOL I might have to check it out. p.s. I won in your Mega Giveaway - are you still emailing or are you still waiting to hear back from the first few? Sounds super cool! How had I never previously heard of Skullduggery?!? Looks awesome! I really think I need to at least pick up the first book in this series for my classroom library. They sound good.